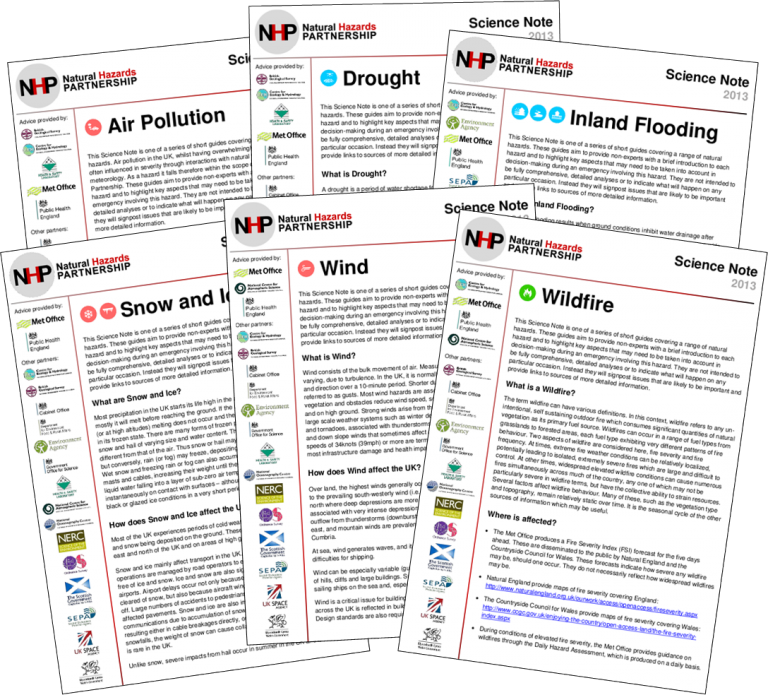 The Natural Hazards Partnership has worked together to produce a series of Science Notes. These notes are short guides to each natural hazard and aim to provide a brief introduction to each hazard and to highlight key aspects that may need to be taken into account in decision-making during an emergency involving this hazard. They are not intended to be fully comprehensive, detailed analyses or to indicate what will happen on any particular occasion. Instead they will signpost issues that are likely to be important and provide links to sources of more detailed information. We plan to develop a full set of Science Notes for all hazards in the future.